NASA – Texas Region | We Drive Harder! – Page 16 – Welcome to Texas Region for the National Auto Sport Association. Here you can find all the information necessary to get on track at our events. 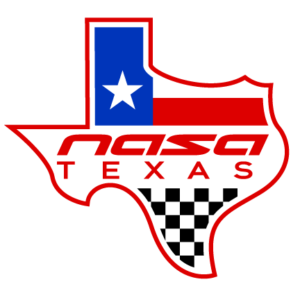 Napa Valley, CA – The National Auto Sport Association (NASA) and NASA Texas are pleased to announce that Will Faules, NASA’s Assistant Divisional Director, will assume the responsibilities of Regional Director of the NASA Texas Region. Faules will be taking over the region from Dave and Revkah Balingit who have effectively managed the Texas Region for the last 4 years during a period of growth and prosperity. Dave will still have an active role in the region working side by side with Will to ensure a smooth transition and Faules gets up to speed. This new change will allow Dave and Revkah the opportunity to focus on their home region of Rocky Mountain as they continue growing the fantastic events NASA members have come to expect in the Rocky Mountain Region. Faules has been involved with NASA since the mid-90’s. He was the first ever licensed NASA teen driver at the age of 13 after several years racing go-karts. He’s raced in many NASA classes and highlights include the 2003 25 Hours of Thunderhill Class Winner, 2005 NorCal SM Season Championship Winner, 2005 Western Endurance Racing Championship E-2 Winner, and 2006 NASA Championships PT-E Winner.